I like to use the analogy that one is wearing dark glasses and then upon perceiving harmonics, is able to take off these glasses and see the full spectrum of sound. Only of course, it is not the sense of sight we are dealing with, but the sense of hearing. 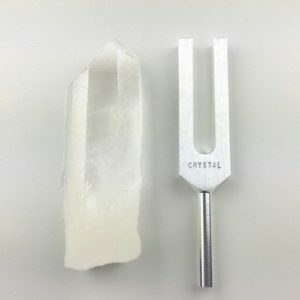 Through learning to first listen to and then create vocal harmonics, it is almost as though one is able to remove ear plugs from the ears and become aware of the full spectrum of sound that is created. So, to begin, I tell you that vocal harmonics can be an extraordinary means of heightening your consciousness. It changes your brain waves and begins to stimulate portions of your brains that can receive greater levels of frequency. This can be a wonderful way of beginning to shift your frequencies–simply through the power of listening. You begin to open up to new levels of sound and vibration through your ears, your mind and your heart. On a physical level, I will tell you that different sounds will affect brain waves, heart beat and respiration. Some of these, such as the soothing sounds of the ocean or gentle music, can be very relaxing and therapeutic. Other sounds can actually stress the brain and the body and not be of the highest vibration for an individual. I will discuss this in greater detail at a later time. For the moment, I would like to suggest that listening to harmonically related sounds, particularly vocal music, can be one of the most uplifting and transformative experiences currently on this planet. It can relax and relieve stress and it can allow consciousness to travel to higher planes. Also, from a scientific level, I can tell you that there is now important research which indicates that by listening to sounds which are high in harmonic content, it is actually possible to provide a great charge of energy to the human brain, and therefore to the body as well. Sounds that are rich in harmonics provide a nourishment to the body, brain and psyche. Simply by listening to these sounds, you can begin to learn to shift your frequencies.